Yellow Fog Light Bulbs or Lamin-X Yellow Vinyl? My previous car was an is300, I loved the look of the white headlamps with yellow fogs... What actually would look and be the best - getting Nokya Yellow Fog Lamp Bulbs or Just applying Lamin-X Yellow Vinyl overlay to the fog lamp? 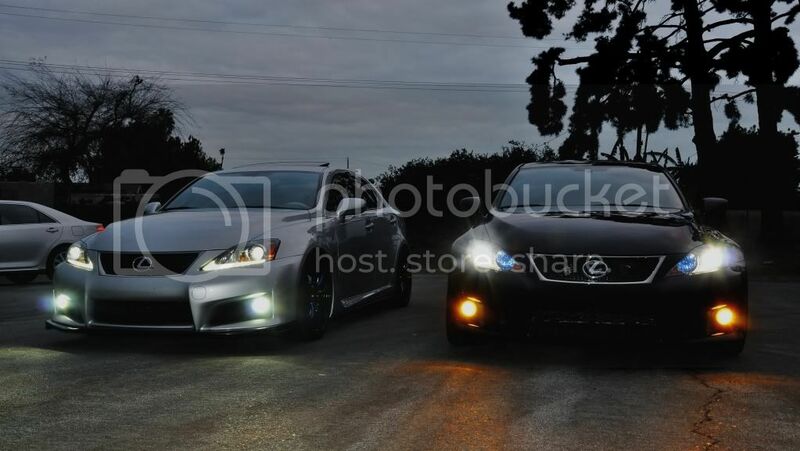 ADDED POLL: Which bulb has better output, reliability, and the closest color to the legendary lexus is300 yellow fogs? Last edited by shahir18; 12-09-13 at 09:30 PM. This^! The laminate makes it look ricey and cheap IMO. I would have to disagree. Does not make the car cheap if done properly. 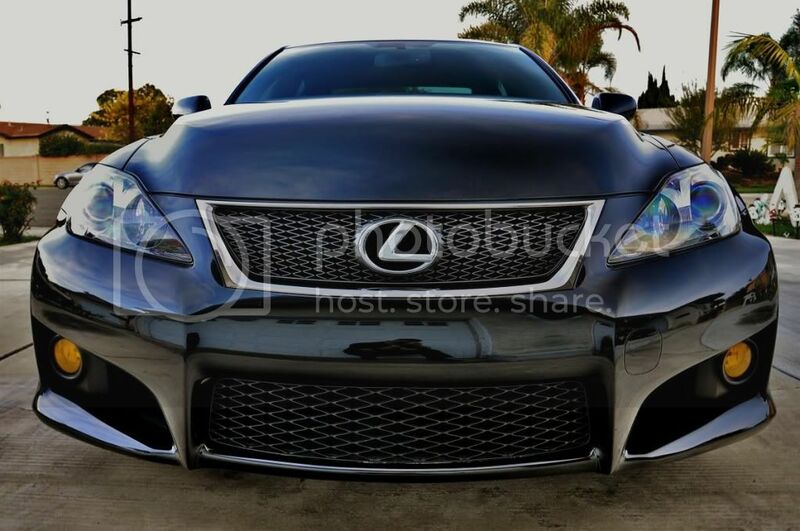 I love the classic yellow fogs from Lexus. I had the aero tect layovers after a year the bubbled up and cracked, I prefer yellow bulbs, not ricey just paying homage to the original IS300. Last edited by LexISguy; 08-26-13 at 08:14 AM. Yeah... Go for 3k hid for fogs. Bout install mine this afternoon. Nice. These are like a golden yellow which looks super nice in person. I find hid yellow fogs to be quite overpowering at night time as well. Plus the film protects against rocks and crap on the road just like the clear bra I have on my headlights. To each their own though. Ideally, you could go with HIDs--they wouldn't burn off the lamin-x over time. I have 55W Putco bulbs (Halogen, non-HID), and people always ask me "which HID brand I have". They are the HID equivalent, as I'd like to say. I had Nokya bulbs before: I'd pick Putco bulbs without hesitating over Nokya bulbs. An HID kit is too much extra, unnecessary work! I love my hoen bulbs. But i think putcos or hoens you can't go wrong. I don't like putting HID into something that it's not meant for. Glares too much for my liking. I installed a 3K HID kit on mine, output was horrible due to the housing not being designed for HID bulbs. I switched to the yellow bulbs CUTigters linked to and they are much better. I wouldn't get yellow vinyl just because it'll protect your fogs.. our fog lens is fairly strong and I'd say a good 90% or more of us doesn't have vinyl and never had any issues with our fog light lens ever cracking. Quick Reply: Yellow Fog Light Bulbs or Lamin-X Yellow Vinyl?